On March 10-12, the Sublime Imperfections team devoted a conference, a public round table, and a performance event to aesthetics & discourses of imperfection, mistakes, repair, and glitches. In this blog post, I build on these meetings to do two things. One: I revisit the topics and questions that we asked at the three events. Two: for readers with an interest in positive takes on imperfection, I share a selection of useful reads and links. To start, let me share some words, images, and sounds devoted to the perfect and imperfect. A 2003 publication of Dostoevsky’s prose features dirt and drawings of poor men, women, and children on its cover (figure 1). 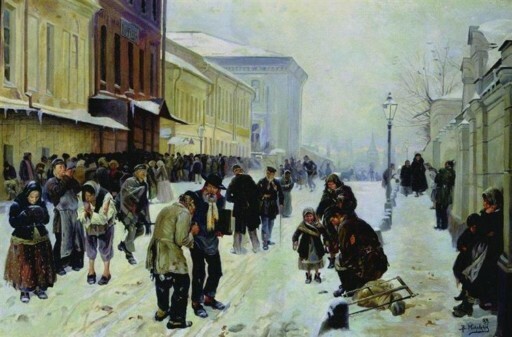 The image is a detail from Vladimir Makovsky’s ‘The Doss House,’ painted in 1889, whose heroes are poor Russians looking for shelter (figure 2). 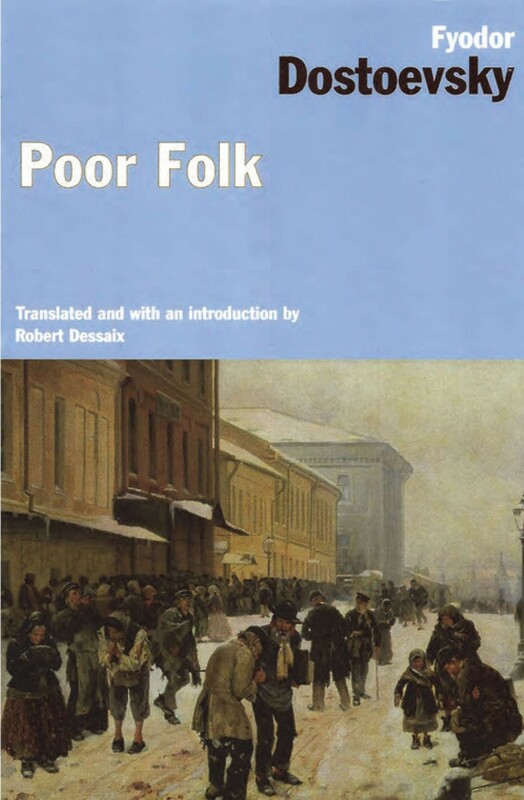 Figures 1 & 2: Penguin cover of Dostoevsky’s prose collection Poor Folk (2003) (left) and Vladimir Makovsky’s Doss House (1889) (right). Sources: https://www.amazon.co.uk/Poor-Folk-F-M-Dostoevsky/dp/0882337556; https://www.wikiart.org/en/vladimir-makovsky/the-doss-house-1889. In the early 1910s, Norwegian artist Edvard Munch created his painting ‘Uphill with a Sledge’ (figure 3). The work boasts multiple formal flaws. The central figure lacks a face, for instance, and the perspective is skewed. 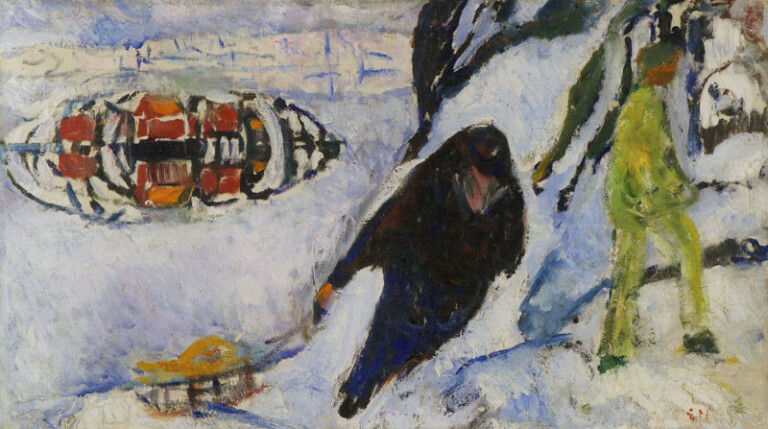 Figure 3: Edvard Munch, ‘Uphill with a Sledge’ (1910-1912). Source: https://www.pubhist.com/w30553. 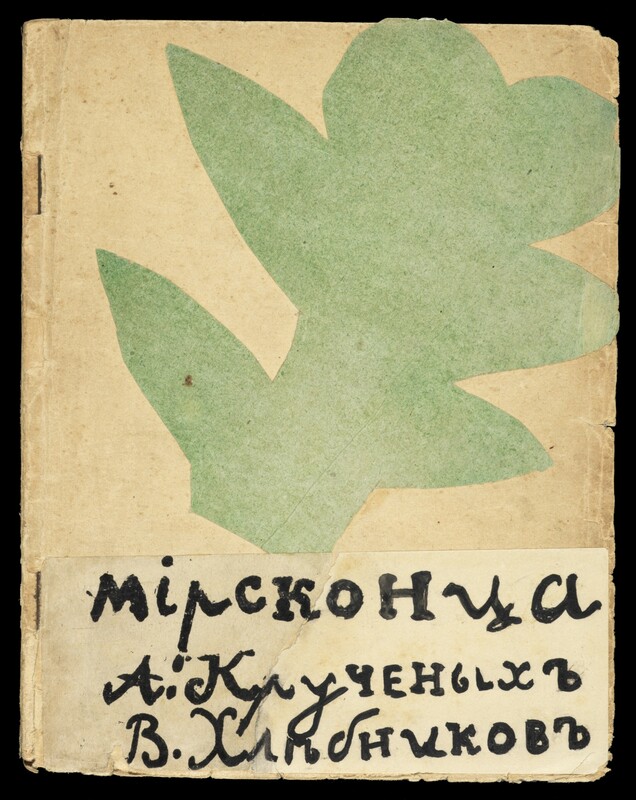 Around the same time, Russian avant-gardist artist Natalia Goncharova designed a cover for a poetry collection by fellow avant-gardists by hand, and in ricketily-crafted fonts (figure 4). 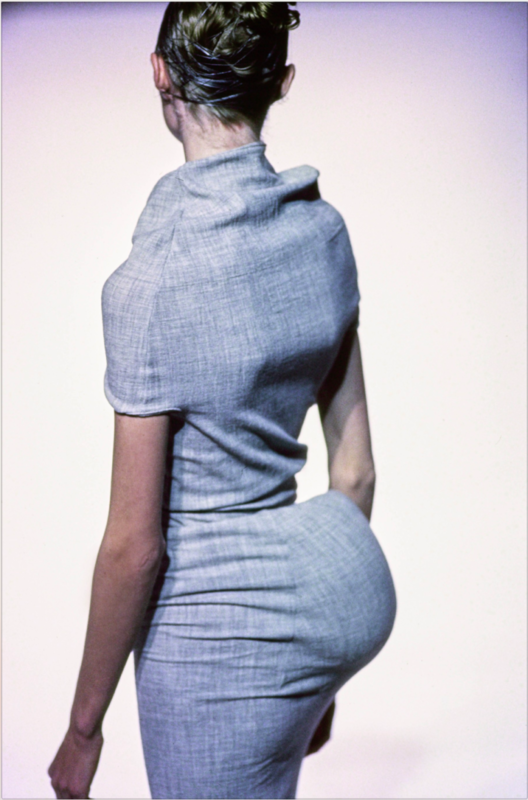 More recently, Japanese fashion designer Rei Kawakubo introduced Body Meets Dress, Dress Meets Body – a 1997 spring collection for fashion label Comme des Garcons which distorted the bodies of its wearers. Today, this influential collection is mostly referred to as the ‘lumps and bumps’ series (see figures 5 and 6 for examples). Figures 5 & 6: Garments from Comme des Garcons’ Body Meets Dress, Dress Meets Body collection for (1997). Source: https://www.vogue.com/fashion-shows/spring-1997-ready-to-wear/comme-des-garcons. In this short video, Boursier-Mougenot introduces the installation and you see the birds at work. In renovating a synagogue in the German city of Dresden in the 2000s, the architects chose to leave one section of a wall unplastered and unpainted. Independently from their colleagues in Dresden, the renovators of the synagogue of the Dutch town of Dieren made the same decision (for pictures of the two walls, see figures 7 and 8). Figures 7 and 8: Two unplastered, unpainted sections in renovated synagogue walls in Dresden (left) and Dieren (right). Source: https://onlinelibrary.wiley.com/doi/full/10.1111/1467-9655.12119. In Memoriam is a memorial publication devoted to Jewish, Roma, and Sinti children who were deported and killed in the 1940s. The book, compiled by Dutch writer Guus Luijters in 2012, enlists names and photos of roughly 3500 children. Their data are incomplete – an incompletion that is, inevitably but also consciously, part of the book’s set-up. The website Getty Images displays a photo series of Romanian villagers, shot in 2013 by American photographer Sean Gallup. I inserted one picture below (figure 9). 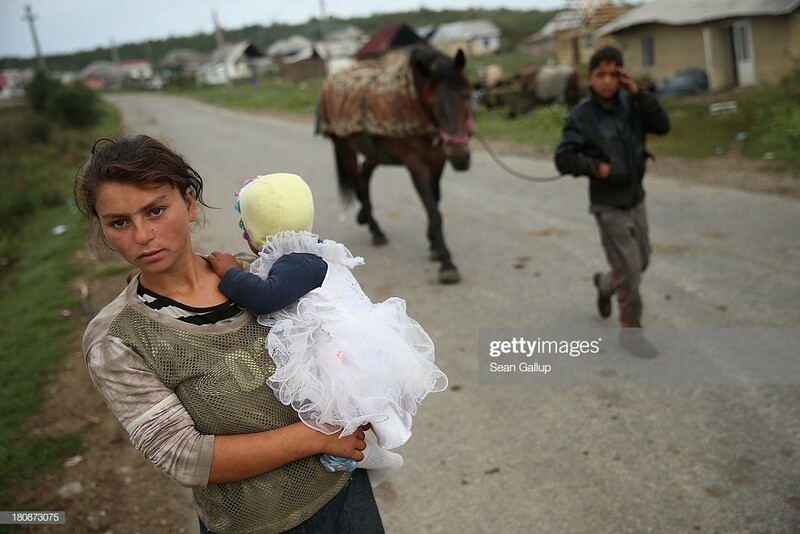 On the site, the caption for this image reads: ‘Young mother Claudia Varga holds her infant daughter Raluca on the only street in the abjectly poor Roma settlement of Ponorata [in] 2013.’ The photo can be bought online for 475 Euros (or, if bought as five-pack, 425 Euros a piece). The images, words, and sounds that I just shared stem from different historical periods, different world localities, and different creative and social disciplines. But they also share things. First: each example was either inspired by or mentioned in a paper presented at the Imperfections conference, which our team hosted at the Dutch sea resort of Noordwijk aan Zee on March 11 and 12. Second, and on a more conceptual level: in each, the imperfect or flawed ranks as an asset rather than a taboo. Grant, Greenspon, and Aronofsky present perfectionism as a problem; Makovsky and the Getty photographer turn poverty and dirt into commodities; and the other examples all promote an aesthetics or logic of disorder, failure, error, or incompletion as something to strive for rather than shun. Imperfection as benefit rather than bother, as romantic asset, or as a tool to cope with life: these and other affirmative takes on imperfection are a joint object of interest of the seventeen experts whom we united at our conference. Apart from yours truly, speakers included literary theoretician Ernst van Alphen (Leiden University); cultural theorist Mieke Bal (University of Amsterdam); poet/designer/fashion theorist Linor Goralik (Higher School of Economics Moscow); art theoreticians Tingting Hui (Leiden University) and Fabienne Rachmadiev (University of Amsterdam); media theorists Caleb Kelly (University of New South Wales), Jacco Kemper, and Patricia Pisters (both University of Amsterdam); musicologist Melle Kromhout (Cambridge University); literary historian/novelist Domnica Radulescu (Washington & Lee University); philosophist Yuriko Saito (Rhode Island School of Design); psychologist Martin Smith (York University); slavist Yngvar Steinholt (Tromsø University); historian Steven Taylor (Leicester University); anthropologist Oskar Verkaaik (University of Amsterdam); and curator Joanna van der Zanden (Amsterdam). The conference was the concluding event of a series of smaller workshops by the Sublime Imperfections team (about which you read more here and here). With our research, we aim to systematically compare and monitor theoretical and popular pleas for imperfection across different places and disciplines (I introduce our project and the existing research on which it builds in this interview). This means that we study practices and objects ranging from Japenese cracked teapots via Italian pleas against bio-engineering to calls for a ‘politics of imperfection’ as response to the American alt-right (see figure 10). Their makers and users foreground that which is not ‘perfect’ – the quality, according to dictionaries, of being ‘pure’ or ‘faultless.’ By contrast, they insist on incompletion, failure, and deviation. They highlight and also praise imperfection, or present it as guarantee for something good – say, authenticity, wellbeing, or social inclusivity. The guests whom we united at our conference ponder similar practices. In their papers, they demonstrated that perfectionism is not unrelated to behavioral problems; and that mistakes, noise, bumps, cracks, and incompletions can act as a (fruitful, albeit not always unproblematic) pathway to aesthetic pleasure, emotional poignancy, mental wellbeing, or as tools to cope with historical trauma. At the conference we examined, in short, the imperfect as a productive category. Our contributors unpacked this category as analysists, but, at two concluding public events, also as practitioners of imperfection. After the scholarly meet-up at Noordwijk, we traveled to the Sexyland club at Amsterdam’s NDSM Wharf for a public round table and performances. At the round table, five conference guests debated the role that ‘wilful mistakes’ (Mieke Bal), ‘distortions’ (Linor Goralik), ‘aesthetics of imperfection’ (Yuriko Saito), and ‘repair’ (Joanna van der Zanden) play in their cinema, their own and others’ bodywear, their writings, and their curatorial work. Patricia Pisters – professor in media studies and author of this study of ‘striving[s] for ever greater perfection under the pressures of a globalized, urbanized, highly competitive world’ – led the debate (see figures 11-14 for photos). Figures 11-14: Photos of the Imperfections round table (clockwise, from top left: Mieke Bal, Joanna van der Zanden, Linor Goralik, Patricia Pisters, Yuriko Saito). Images by Yegor Osipov-Gipsh. Following the round table was a live program featuring three performers with a predilection for cracks, noise, and trash. Trish Trash (Amsterdam) – who creates music & autonomous work inspired by vintage magazines, graphical, and architectural shapes – acted as DJ. Amsterdam-based Melle Kromhout (who doubled as conference speaker) and Ruben Braeken – aka Glice – offered the audience dark noise improvisations fused with post-industrial, post-classical sound structures. Graham Dunning (London) concluded the evening with Mechanical Techno – an array of turntables, contraptions, smashed vinyl, ping pong balls, and other recycled objects, which builds on rhythm, repetition, experimentation, and improvisation (see figure 15). The program was curated by Caleb Kelly – a Sydney-based event curator and theoretician of ‘cracked media’ (for a relevant publication, click here). In an upcoming book, we will share our conference findings – but this post I conclude not with findings, but with four questions that kept resonating throughout the three events. Why is the imperfect celebrated across so many social domains today? Are contemporary imperfection cults a response to mediatization and digitization? What do they tell us about the human urge to cope with and control the trials of daily life? What promises are projected onto imperfection across varying disciplines? Which desires, put plainly, do different makers and users satisfy by embracing the imperfect? What are the ethical pitfalls of promoting the wonky or flawed, and of fetishizing poverty? And what role do gender, class, and race play in the practices that we study? On a brighter note: once we are sensitive to these and other problems of privilege, how can we use the present-day desire for imperfection to address such pressing social concerns as ecological crises, hyper-consumerism, or rising burnout rates? These questions you can read either as cliffhangers – the answers follow in our joint book! – or, if you prefer not to wait, as incentives to click the links in this post. They lead you to helpful further reading on imperfections, mistakes, cracks, and noise. And they explain why today, these categories merit no quick fix, but close attention.